This is nonsense, but I cannot be bothered with all the nonsense in the world. This blog focuses mainly on nonsense from physicists pretending to do physics. No, it has never been shown that a particle responds instantaneously to a distant measurement. He is referring to the phenomenon of entanglement, which is well-understood and explain in textbooks. (BTW, all three volumes of the Feynman lectures are not freely online.) If such nonlocality were ever proved, a Nobel Prize would be given for it, and it would be one of the great discoveries in the history of science. When genuine physicists recite this nonsense, there is little wonder that non-physicist intellectuals say it, and the popular press reports it. I blame the physicists. The electron is spinning, after all. If you treat the electron as a classical particle, you will get some paradoxes, but not just with spin. You get them with position, momentum, charge, and every other observable. Spin is real spin just like those other observables. I previously made similar points in my book, How Einstein Ruined Physics. "Ruined Physics" is another way of saying "Modern Physics Has Betrayed the Search for Scientific Truth". One of my examples is how the black hole war is debated based on faulty theoretical concepts for things like information, with no possibility of scientific evidence either way. I partially blame the trend on how Einstein idolizers claim to be following in his footsteps. Baggott does not go so far in blaming Einstein. Coyne hates Pigliucci for calling him on the bad science, philosophy, and theology of the New Atheists like himself. I am not sure about the philosophical issues, but Pigliucci does explain decisively why Coyne and the others are wrong about free will. This crazy-sounding belief of mine that our physical world not only is described by mathematics, but that it is mathematics, makes us self-aware parts of a giant mathematical object. As I describe in the book, this ultimately demotes familiar notions such as randomness, complexity and even change to the status of illusions; it also implies a new and ultimate collection of parallel universes so vast and exotic that all the above-mentioned bizarreness pales in comparison, forcing us to relinquish many of our most deeply ingrained notions of reality. Confusing mathematics with physical reality (extreme Platonism) has a long and undistinguished history going back to a few ancient Greek philosophers. No one doubts that mathematics is an effective way to describe the physical world, but to give mathematics some sort of physical substance, or to say there is no physical substance - it's just math, is a fairly bizarre way to understand nature. Could this conjecture be tested? I doubt it. Is it science? Not by my definition. A more sensible view of mathematics is that it is a very effective, but artificial and invented language we use to model nature. Further, all mathematical models are approximations to physical reality, and thus subject to change and evolution. The extreme Platonists like Tegmark are true believers who want to lead us into the completely abstract and unscientific world of fantasy, and define it as "reality". Michael S. Turner said in the late 1990s that the "go-go junk bond days of physics were over". That may have been wishful thinking, or maybe it was just what was PC at the moment, but the fact is that junk-bond physics has grown even more prolific and exotic since then. He is right -- the junk-bond physics has grown even more prolific and exotic than ever. I explained Tegmark's errors in my FQXi essay. Thanks Robert for raising these important issues! I discuss them extensively in the book, exploring the full spectrum of views. Like you and Popper, I view untestable theories as unscientific. You asked for more detailed material: you'll find a sample on http://mathematicaluniverse.org (click either "Popular" or "Technical" depending on your taste), and please feel free to ask me direct questions on Facebook as well. The book is of course mainly on uncontroversial but fascinating recent discoveries in modern physics, from cosmology to particle physics, but Scientific American predictably chose to highlight some of the most controversial material. Those articles are titled, "Everything in the Universe Is Made of Math – Including You" and "Is the Universe Actually Made of Math? 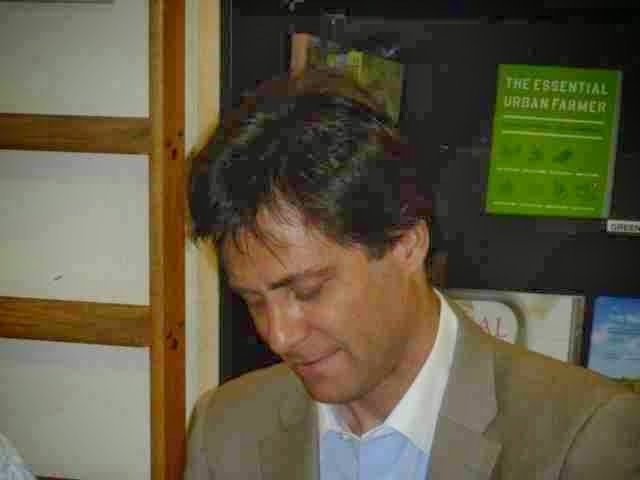 Cosmologist Max Tegmark says mathematical formulas create reality." So yes, the SciAm excerpt on the "key idea" from the book. His proposal is silly because no one has ever reduced any physical object to math, not even a photon or electron. By his own admission, he needs to assume that randomness, complexity, and change (over time) are just illusions. These are philosophical issues that were debated by the ancient Greeks. His position is no stronger today than it was 2300 years ago. I’m still though left without an answer to the question of why the scientific community tolerates if not encourages all this. Why does Nature review this kind of thing favorably? Why does this book come with a blurb from Edward Witten? I’m mystified.